On Monday, the Leatherneck women’s golf team dusted off their clubs and were back on course for the first time since Oct. 2. The team competed in day one of the Mid-American Match Play Challenge, an event hosted in Lakewood Ranch, Fla. After an eighth-place finish last time out in the Creighton Classic, the Purple and Gold were undoubtedly excited to get away from the cold Midwest and return to action. The Leathernecks faced some stiff competition right from the start, as they were selected as the 12th seed out of 12 qualifying teams to begin the expedition. Other schools in attendance included: the Florida Gulf Coast, Northern Illinois, Illinois State and Summit League rival Purdue Fort Wayne, among others. Western’s starting lineup included senior Katie McTaggart, juniors Cassidy Jurkaites and Nicole Hamilton-Cross with sophomore Katie Schmitt and freshman Emily Mars rounding out the bunch. In the opening round of the tournament, the Purple and Gold squared off against the five-seed Illinois State Redbirds. The Redbirds jumped out to an early advantage with Morgan Savage leading the charge for her team. Savage concluded her victory against Mars on the 16th hole, winning the matchup 4 and 3. For Schmitt, it was a battle that came down-to-the-wire, but she was ultimately defeated by ISU’s Becca Black with just two holes left to play. Illinois State then continued its dominance across the board, completing a complete sweep in their 5-0 victory. After failing to capture an opening-round win, Western was forced to quickly shift their focus to Purdue Fort Wayne, a familiar foe. Here, the ladies began to elevate their level of play after a less-than-ideal finish in their matchup with ISU. While Paige Bird and Emma Shroeder got the Mastodons off to a hot start, capturing victories against Mars and Schmitt each by a score of 4 and 3. Hamilton-Cross got things started for the Purple and Gold by edging her opponent just before the 18th and final hole, winning the match 2 and 1. Jurkaites was impressive as usual, overcoming her opponent 2 and 1 as well. Unfortunately, Purdue Fort Wayne narrowly escaped the Leathernecks’ late push, winning the match, 3-2. Individually, some players saw success in the early-going while others sputtered. Jurkaites and Hamilton-Cross both came out of day one at the Lakewood Ranch Country Club with a win, but for their teammates, it wasn’t quite easy. Multiple efforts fell just short, with one major takeaway from day one’s action being the Leathernecks’ inability to sink their birdie putts. The team found themselves with multiple opportunities for opening-round wins, but their struggling short-game turned out to be the difference in each loss. While it wasn’t the turnout the team had expected, head coach Lia Biehl Lukkarinen was sure to keep a positive mindset heading into day two of the event. As the second day of the event came around, the Purple and Gold prepped for battle against the 10-seed, Morehead State. Luck was not on their side, as the Eagles managed to jump out to a commanding lead following Western’s first and only victory of the match by Mars. 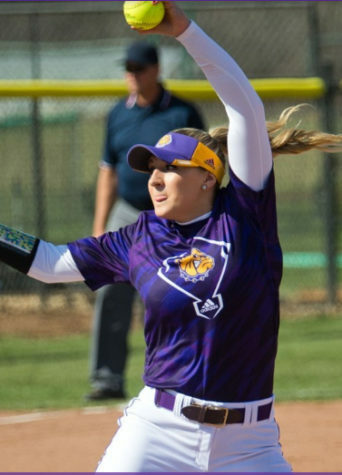 The freshman standout provided a lone bright spot for the Leathernecks and has proven her worth to her team on several occasions in the first year of her collegiate career. Unable to muster a comeback, Western dropped the match to Morehead State 4-1 to conclude the Mid-American Match Play Challenge. While the team’s efforts were short-handed, they’ll have more than enough time to right the ship and work on fundamentals of their game before the introduction of the 2019 spring season on Feb. 25. After a near three-week briefing period, the team will once again head south to compete in the Alabama State University Spring Golf Kickoff in Montgomery, Ala.